In case you missed it, my favorite podcast, The Morning Stream, I listen to every Monday through Thursday, has been doing foreign food testing, which listeners have been sending them food to try on the show. They've been doing it now for about 2 months, and being the food lover I am, I am thoroughly enjoying this segment of the show. So, I decided to track every food they tried, and what the consensus was on the food, and where you can buy it. You can view this here. These were very dilly in flavor. 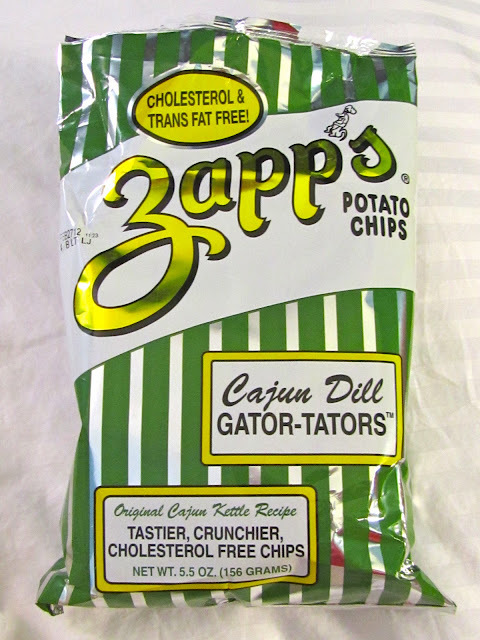 As with all of my chip tastings, these bags are pretty big and tough to eat the whole thing in one sitting. But, if you had some onion dip with these, it would be amazing. I don't think these were my favorite, out of all the ones I've tried so far, but they are definitely a flavor to try once. That is if you were buying a few flavors from Zapps. So if you like dill flavored foods, try these!